Content Management | BrainSoft Software (P) Ltd.
We provide solution to our clients which help them to manage their content and resolving complexities. 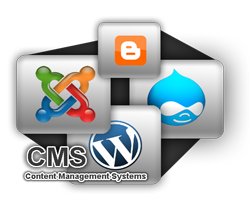 CMS is designed to add, update and delete the content and to manage admin of the website. Our CMS solutions offer following features: Standard CMS Solution: Our Standard CMS Solution comprises of most extensive and cost effective content management and publishing solutions that will give you total control over your website content, images and helps to publish multiple content types on your online websites that too without any special technical skill. Professional CMS Solution: The Professional Solutions offered by us are mostly appropriate for businesses that have complex processes i.e. they need solution that fits according to their space. We provide out of way solutions to our clients that can meet their requirements.